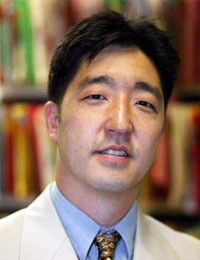 Dr. John Park, a New York native, received his Baccalaureate Degree from the University of Vermont and subsequently received his D.M.D. from the Boston University School of Dental Medicine. 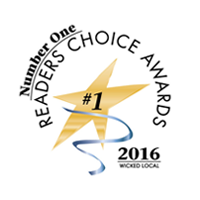 After completing his residency on Long Island, NY, he affiliated with dental practices in New York, Washington, D.C., and in Massachusetts before establishing Hopkinton Dental Associates, P.C. in Hopkinton, MA. Dr. Park is an active member of the American Dental Association, Massachusetts Dental Society, Multi-Disciplinary Institute, and local Spear Study Group, where he enjoys broadening his clinical knowledge and horizons. In addition to being a skilled general dentist, Dr. Park enjoys playing and coaching soccer, golf, and working out. Quinn K. Chan, D.M.D, M.S., C.A.G.S. 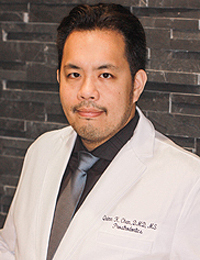 Dr. Chan is an accomplished, Board-eligible Prosthodontist and member of the American College of Prosthodontics originally hailing from Northern Virginia. Dr. Chan originally hales from the Northern Virginia suburbs of Washington, D.C. He earned a Bachelor’s Degree in Biomedical Engineering from University of VA in 1999, and Master’s Degree in Biotechnology from Johns Hopkins University in 2003. Dr. Chan was awarded his D.M.D. in 2007 from Tufts University School of Dental Medicine and completed his General Dental residency in Connecticut in 2008. In 2012, Dr. Chan completed the Advanced Specialty Education Program in Prosthodontics at the University of Michigan School of Dentistry before returning to New England to further his dental career. In addition to working in private practices, he is a clinical instructor at Tufts University School of Dental Medicine, where he received the 2013-2014 Dean’s Award for Excellence in Clinical Teaching. In his leisure time, Dr. Chan enjoys playing the acoustic and electric guitar, photography, and computer/technology building and repair. Dr. Chan welcomes you to Hopkinton Dental Associates.